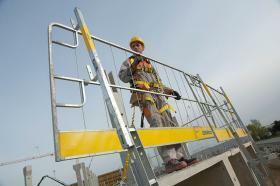 In tough everyday construction site situations, it is always important to work quickly, safely and economically. Real-time data enable more accurate control of the forming and in-situ concreting operations. The stripping and curing times, for example, plus the earliest possible time for pre-stressing are all decided on the basis of actual concrete strength gain. Uncontrolled hydration temperature development can result in structural damages that significantly reduce the service life of a concrete asset. Measured values are the baseline for taking corrective measures, speeding up construction processes and reducing costs. Concremote sensors are wireless and reusable. There is no need for operator presence on site for reading and saving the measured data. Sensors notify construction managers automatically as soon as concrete has achieved its target value. Sensors measure at regular intervals and transmit data to the Concremote data center. The center computes dependable U.S. building code-compliant analyses of the strength development of the concrete. The data can be called up through a secure web portal anywhere and at any time with a notebook, tablet PC or smartphone. Innovative construction companies combine estimation and scheduling with performance tracking and control aspects of Concremote, resulting in a new concrete construction methodology. Thank you for your interest - Concremote – Concrete Intelligence in Real Time. Thank you very much for your interest - Concremote – Concrete Intelligence in Real Time.